1. Heat a 12-inch skillet (preferably cast-iron) over medium-high heat. Season shrimp with salt and pepper. Add 1 tablespoon butter and when it is melted and foamy add the shrimp and fry until the edges are crispy and golden brown. Remove shrimp to a bowl. 2. To the same pan, add garlic, rosemary, lemon juice and rinds to pan. Stir in Worcestershire and bring to a simmer. Cook for 10 minutes. Remove the pan from the heat and strain out the solids. Return the strained sauce to the pan and add the remaining 7 tablespoons butter one at a time under low heat, stirring to incorporate until they are all melted. 3. 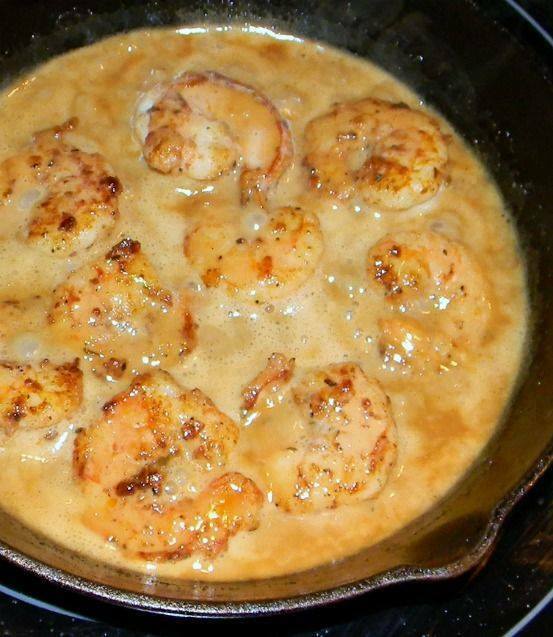 Add shrimp back to pan and to heat through. Serve with baguette or rice.